features RealTree licensed fabric as well as breathtaking star blocks. Sue will teach you how to use a template to make these stars, square up a panel, and how to fussy cut focus fabric in this class. 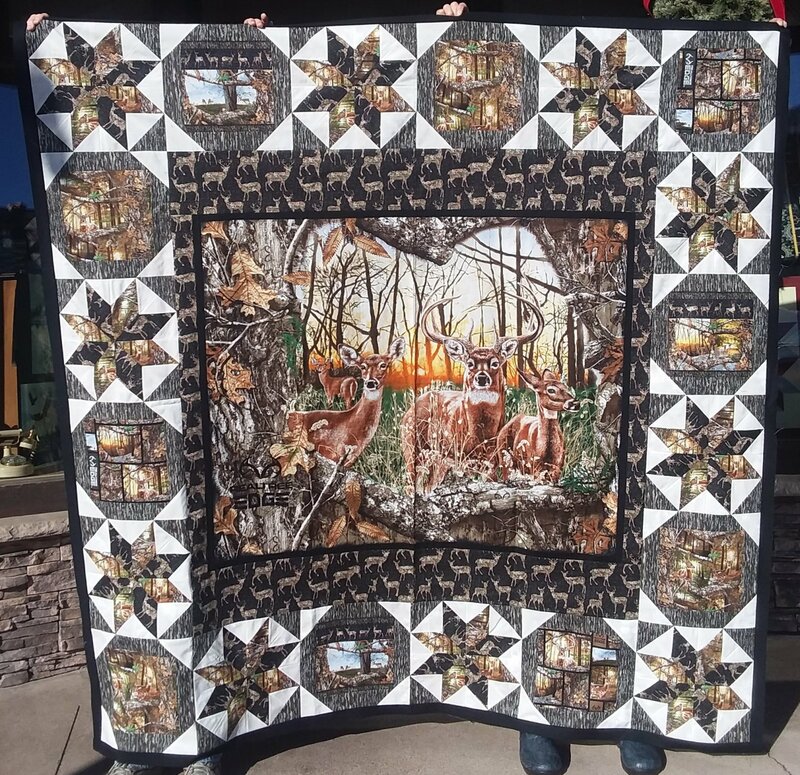 We cannot wait for you to see this Northwoods quilt and run to sign up for class!